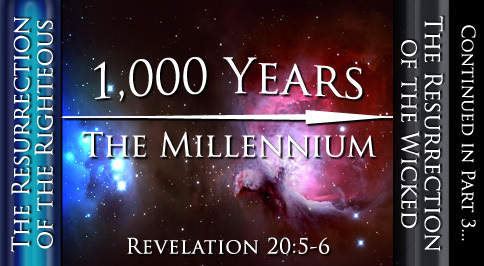 The 1,000-year millennium following the Saviour’s return for His faithful, waiting people has been the focus of longing hearts ever since a glimpse into the future life was provided in the book of Revelation. There are many different theories regarding the millennium, the events surrounding it and who is alive during that time. Scripture presents a clear delineation of events surrounding the 1,000 year reign of Yahushua with His people and it is quite different from the beliefs held by most. All who have died loving Yahuwah will have a part in the first resurrection. Those who have persisted in rebelling against the divine law will be raised in the second resurrection, to meet their punishment on the earth. The few men LEFT are the RIGHTEOUS ones that are preserved - the wheat in the barn, those in the ark, Lot and his family etc. Examine carefully all of the texts concerning the destruction of the wicked and you will find that they are the first to be taken / garnered / reaped - the tares from among the wheat, the flood came and took them all away, it rained fire and brimstone from heaven and destroyed them all. Conclusion: NONE of the wicked will remain alive on the earth at the 2nd coming of Yahushua. After the wicked are destroyed by the brightness of Yahushua’s coming, the dead will be from one end of the earth to the other with none left alive to bury them. All who have died loving Yahuwah will be raised in the first resurrection. The righteous will not be idle during the millennium. There is rest for the weary, but none will be indolent. The saved have a special work to do during the 1,000 year reign with the Saviour: the judgment of the wicked. This judgment will be presided over by Yahushua and the saints. All who have loved ones who are not in Heaven will understand the love Yahuwah exercised in their behalf and agree with the justice that excludes them from Heaven. Just sentence will be passed, not only on the lost sinners, but on Satan and his angels. reign for 1,000 years in Heaven with Yahushua. During the millennium, only Satan and his angels will be left alive on Earth. It will be a scene of devastation and destruction. All will see that the results of rebellion against the Kingdom of Heaven are death and destruction of life. Scripture presents a clear order of events surrounding the millennium. The resurrection of the righteous begins the millennium; the resurrection of the wicked ends the millennium. The earth is left in utter ruin by a devastating earthquake and hailstorm during the last plague (Revelation 16:14-21). Second Coming of Yahushua for the righteous (Matthew 24:30, 31). Resurrection of the Righteous (1 Thessalonians 4:16, 17). The righteous are given immortality (1 Corinthians 15:51-55). The living righteous are given new, immortal bodies (1 John 3:2; Philippians 3:21). All the righteous are caught up into the clouds with Yahushua (1 Thessalonians 4:16, 17). The living wicked are slain by the brightness of the Saviour (2 Thes.1:7-9; 2 Thes.2:8; Matt.24:29; Luke 17:26 -30). The wicked dead remain dead until the end of the millennium (Revelation 20:5). Yahushua and the righteous go to heaven (John 13:33, 36; 14:1-3). Satan bound on the earth (Revelation 20:1-3). “And cast him into the bottomless pit, and shut him up, and set a seal upon him, that he should deceive the nations no more, till the thousand years should be fulfilled and after that he must be loosed a little season. “And I saw thrones, and they sat upon them, and judgment was given unto them: and I saw the souls of them that were beheaded for the witness of . . . [Yahushua], and for the word of . . . [Yahuwah], and which had not worshipped the beast, neither his image, neither had received his mark upon their foreheads, or in their hands: and they lived and reigned with . . . [Yahushua] a thousand years. “But the rest of the dead lived not again until the thousand years were finished. This is the first resurrection. Blessed and holy is he that hath part in the first resurrection: on such the second death hath no power, but they shall be priests of . . . [Yah] and of . . . [Yahushua] and shall reign with Him a thousand years. “For thou hast said in thine heart, I will ascend into heaven, I will exalt my throne above the stars of . . . [El]; I will sit also upon the mount of the congregation, in the sides of the north; I will ascend above the heights of the clouds; I will be like the most High. The earth has been destroyed by the seven last plagues and returned to its pre-Creation state. People are either dead or are in Heaven. The millennium is Satan’s opportunity to make good on his boast. 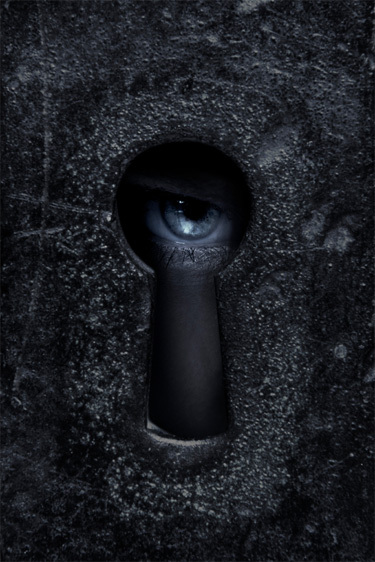 But Satan is not like the most High; he can neither create anything nor deliver himself from his prison of darkness. He can only wander up and down in the broken chaos that remains of earth. His own choice determines his destiny. In like justice, the choice of each person during the probationary time of his/her life, determines each destiny. What choices are you making today? Will you choose to spend the millennium in heaven with your Saviour and the redeemed of earth?